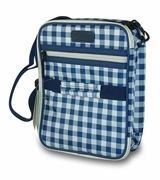 Contemporary unisex polyester cross body design, insulated lunch tote bag for both men and women. Practical thermal insulation that keeps food cool or warm. Roomy u-shaped interior, side mesh water bottle holder. 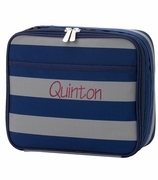 A nice work tote, pvc free, phthalate free, 6 can capacity. Small front pocket, lightweight material. Hand carry or use the adjustable canvas web over the shoulder or crossbody strap. Leak proof lining. NOTE.. 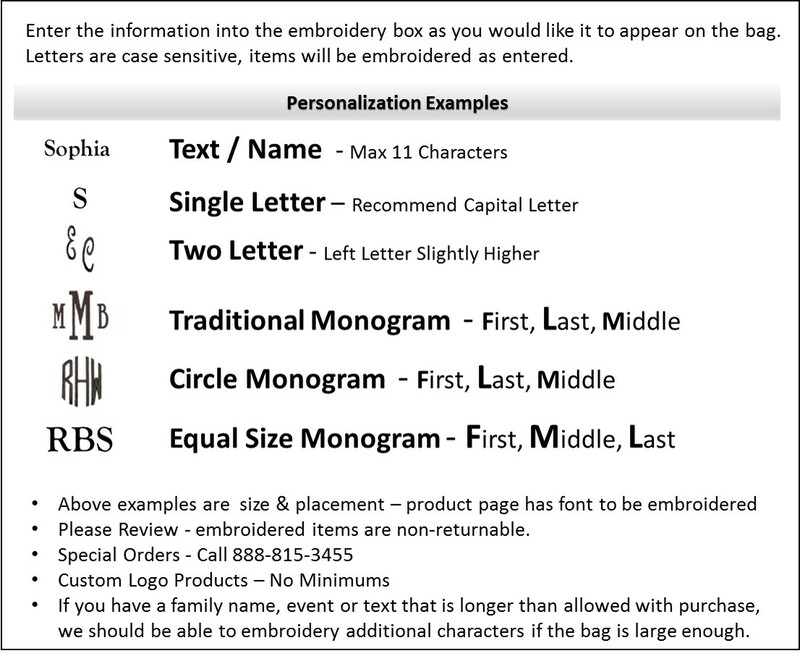 ACCENT MONOGRAM IS APPROXIMATELY 1 3/4" AND IS PLACED NEAR THE TOP OF THE TOTE. Work cooler tote measures 10"H x 7"W x 4.25"D.